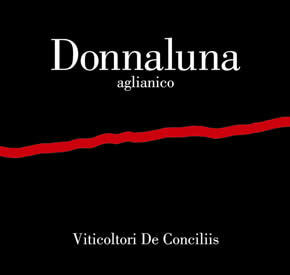 Vinification & Aging: This Aglianico comes from 7-8 vineyards. Stainless steel tank fermentation for 20-30 days, followed by a 1-2 week maceration. Wine is aged in stainless steel and then released to the market after an additional 3 months bottle aging. Description: Dark ruby color with intense aromas of violets and licorice. On the palate, the wine is quite complex with a long, velvety finish. Drink now or cellar for 5 years. Food Pairing: Game, roasts, meat ragu, pizza.